WA Flea or Farmers Market & Go! An extensive Washington Farmers Market directory is lower down this page. Please use the scroll bar to the right of the below list to find information about the many Farmers Markets and Flea Markets in the state of Washington. By regularly visiting your flea or farmers markets you will likely be supporting your local economy, environment, and the small farm families that take great pride in the bounties of the Earth they produce. Like them, you too will reap what you sow when you resurrect and cultivate the wise and frugal bygone era family tradition of practicing a weekly "Market Day" in your Washington town. 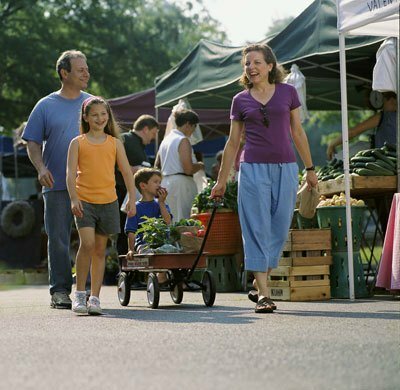 Once you have located your nearby state farmers markets via the finder below, you can get the most out of your market excursions with the frugal shopping tips and tricks found in Frugalicity's Farmers Market Guide via the return link at the bottom of this page. There you will find links to other state directories as well as lists of useful insiders' advice that will help you get the most bang for your buck at your local Washington greenmarkets. You will come away with a much better understanding of why buying locally grown organic food is one of the most frugal, eco-friendly, and healthy things a family can do. You will also learn why your local fresh markets are at the top of the list of family-friendly cheap and fun things to do in Washington. WIC or "Women, Infants, and Children Program" is a Federal assistance program for postpartum, breastfeeding, or low-income women or infants and children found to be at risk for nutritional deficiency. Your Washington WIC agency may provide nutrition education, health care referrals, or supplemental food vouchers good at your local Flea or Farmers Market via your state's WIC Farmers Market Nutrition Program. SFMNP or "Senior Farmers Market Nutrition Program" is a Federally funded nutrition program designed to assist low-income senior citizens. Your Washington SFMNP agency provides qualifying seniors with coupons that can be used at eligible community supported agriculture programs, roadside stands, or Farmers Markets in Washington for purchase of "fresh, unprocessed, and nutritious fresh-cut herbs, fruits, and vegetables." Of course cash is king at all Washington Flea Markets and Farmers Markets, so you can't go wrong by bringing plenty of "all-mighty Dollars" with you. But if credit cards are accepted, you have the added benefit of a Federal law which limits your losses due to fraudulent credit card transactions to only $50. And there may also be protection through your credit card company against disputed charges or quality of goods. Something to think about in case you happen upon a big ticket item like furniture, tools, or antiques. So plastic may be the way to go in some cases. More and more farmers markets are starting to accept Supplemental Nutrition Assistance Program benefits - SNAP (once known as Food Stamps) via EBT. Contact your WA market ahead of time to see which markets may accept SNAP benefits and what details may be involved. Usually when paying with SNAP EBT, cash cannot be given back and only eligible SNAP foods can be purchased at the point of sale. *TIP* To find your nearby Washington markets as you scroll through the extensive list below, try using your browser's "Find" function to highlight your county name or zip code in the below entries. In Google Chrome you can click the little wrench in the upper right corner for the menu with the "Find" option. Wednesday, 4:00 p.m. - 7:00 p.m.
Thursday, 3:00 p.m. - 7:00 p.m.
Tuesday, 11:00 a.m. - 3:00 p.m.
Wednesday, 3:00 p.m. - 7:00 p.m.
5th Ave. SW & Southwest 152nd St.
Thursday, 11:00 a.m. - 6:00 p.m.
Tuesday, 3:00 p.m. - 7:00 p.m.
Tuesday, 2:00 p.m. - 6:00 p.m.
Friday, 9:00 a.m. - 2:00 p.m.
Friday, 12:00 Noon - 4:30 p.m.
Bell Street, 5th & 6th Ave.
Saturday, 8:30 a.m. - 2:00 p.m.
Thursday, 4:00 p.m. - 8:00 p.m.
Saturday 9;00 a.m. - 2:30 p.m. Between 3rd & Main St.
Wednesday, 10:00 a.m. - 4:00 p.m.
Sunday, 11:00 a.m. - 3:00 p.m.
Tuesday, 8:00 a.m. - 1:00 p.m.
Wednesday, 12:00 Noon - 5:30 p.m.
Saturday, 10:00. - 2;00 p.m.
Thursday, 9:00 a.m. - 3:00 p.m.
Wednesday, 3:00 p.m. - 6:00 p.m.
Sarurday, 9:00 a.m. - 1:00 p.m.
Thurday, 3:00 p.m. - 7:00 p.m.
Thursday, 4:00 p.m. - 7:00 p.m.
Tuesday, 3;00 p.m. - 7:00 p.m.
Wedensday, 3:00 p.m. - 6;00 p.m.
Wednesday, 3:30 p.m. - 6:30 p.m.
Saturday, 9:30 a.m. - 1:30 p.m.
Highway 305 & Hostmark Ave.
Wednesday, 12:00 Noon - 4:00 p.m.
Sunday, 10:00 a.m. -2:00 p.m.
Winter: 11:00 a.m. - 3:00 p.m.
East side of Broadway at East Thomas St.
Sunday, 11:00 a.m. -3:00 p.m.
Friday, 3:00 p.m. - 7:00 p.m.
Sunday, 10:00 a.m. - 2:00 p.m.
Wedensday, 3:00 p.m. - 7:00 p.m.
Saturdy, 9:00 a.m. - 3:00 p.m.
Tuesday, 11:00 a.m. - 4:00 p.m.
Thursday, 3:00 p.m. - 8:00 p.m.
Thursdays, 3:00 p.m. - 8;00 p.m.
Thursday, 10:00 a.m. - 3:00 p.m.
Wednesday, 11:00 a.m. - 2:00 p.m.
Vashon Highway & Bank Rd. 4th St. & Main St.
Thursday, 5:00 p.m. - 7:00 p.m.
Thursday, 3:30 p.m. - 7:00 p.m.
Wednesday & Saturday, 8:00 a.m. - 1:00 p.m.
Sunday, 9:00 a.m. - 2:00 p.m.
Scroll through the list of Farmers Markets in Washington here. Take it from me, carrying just a few pounds of Flea Market finds like fresh fruits and vegetables will tire your arms out very quickly, put more strain on your feet, and will have you wishing you had prepared ahead of time to bring some sort of market bag or wheeled shopping cart. Below are just a few of my suggestions of higher quality products that will make your farmers market shopping a lot easier. You can scroll the below carousel using the two arrows underneath the images and hover your cursor over each image to see more information. You can always tell who the more savvy Washington Farmers Market shoppers are because they will be the ones wheeling their Flea Market goodies around in the little strollers, shopping baskets, and carts. Please contact me via the link at the bottom of this page if you have a product idea you have found to be a better market shopping carrier or if you have any other frugal shopping tips or tricks. 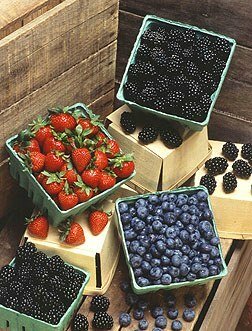 Please Help This Directory of Farmers Markets in WA Come to "Fruition"
With your help, I intend to grow this into the largest Washington Flea Market and Farmer's Market Directory online. ...or any other type of Washington public market you would like to see added. With your help, the fruits of our labor will create win/win situations for a lot of other frugal-minded visitors from Washington who may be searching for cheap and eco-friendly sources of locally-grown fresh produce, organic foods, or other local delicacies and specialties. I would also love to publish your Flea Market shopping tips or tricks, or any other Frugal Living Tips or Home-made Recipes you might want to share with the world. Or maybe you have a suggestion or Frugal living question for us. If so, we'd love to hear from you. We invite you to ask or tell here on our Contact Page.